Don’t Just Talk Like A Pirate! Be A Pirate and Find the Magic, New Mexico Treasure! Magic, New Mexico Kindle World #3 releases on September 19th, which is also Talk Like A Pirate Day! What a better day to kick off a treasure hunt than when we are all talking like the pirates we are lol. 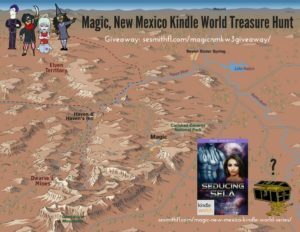 Visit each author in the Magic New Mexico Kindle World #3 to find your next clue to the grand prize. 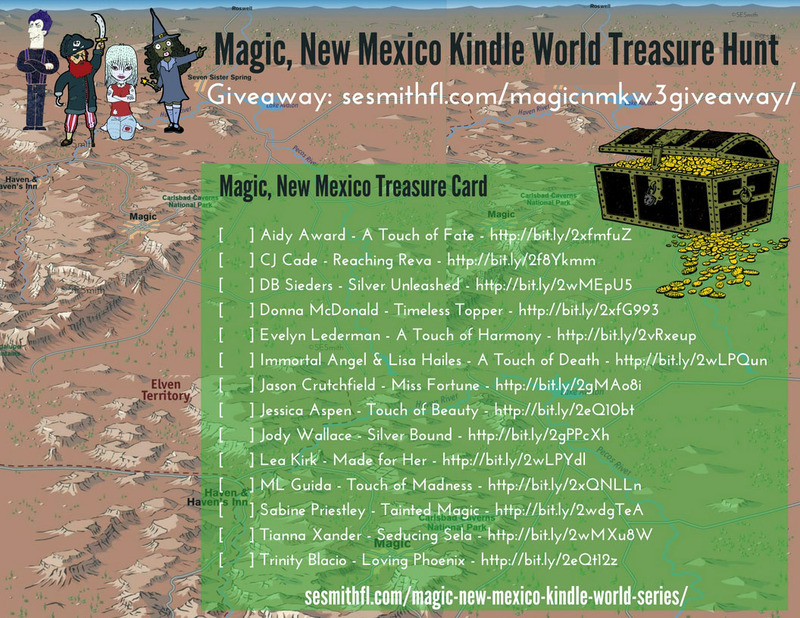 You need to visit each author in the Magic New Mexico Kindle World #3 to find the next clue to the grand prize. Collect all the clues and go in the draw for Magic treasure! On each author’s Kindle World book page, there is a map of Magic, New Mexico (see map below). On that map, is a letter or letters or symbol that is specific to that author. Check out the lower right hand corner. Near the treasure chest. Write down the letter or symbol for each author. Make sure you record the code in the order of authors below so that you get the correct codeword. That’s it! Easy peasy. Each letter will create part of the code you need to enter into the giveaway. Download your Treasure Card to record your clues. Once you have collected all the clues, go in the entry. The game opens on September 19th at 6am (Orlando time) and closes at 6pm on September 30th (Orlando time). (BTW ‘?’ is not the secret code for Tianna. You will need to visit her page to find out what it is).